Children enjoyed completing our ‘Crack the Code’ mission for our Phonics this afternoon. 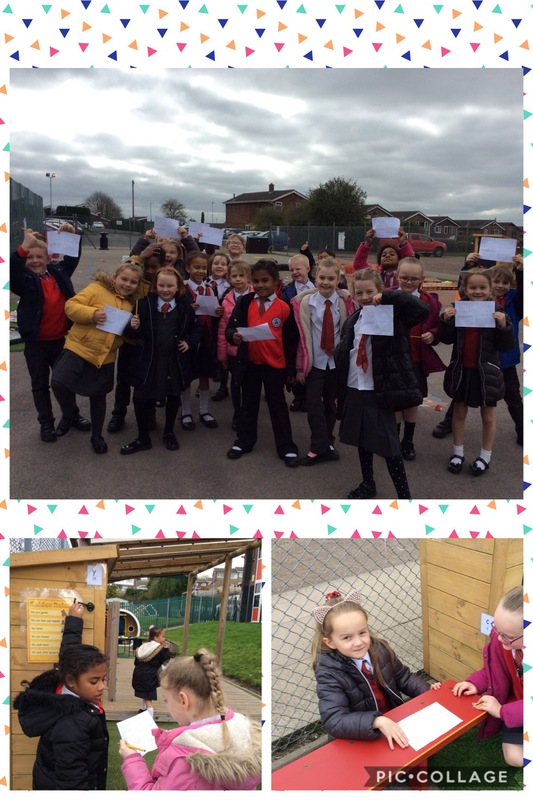 All of the letters of the alphabet were given a number and hidden around the outdoor area. Children were then given a selection of numbers to hunt. When they found all of the numbers a spelling was revealed. This entry was posted in Year 2, Year2 and tagged English on March 21, 2019 by MissGregory. What a great way to add a bit of excitement to developing the children’s spelling abilities!